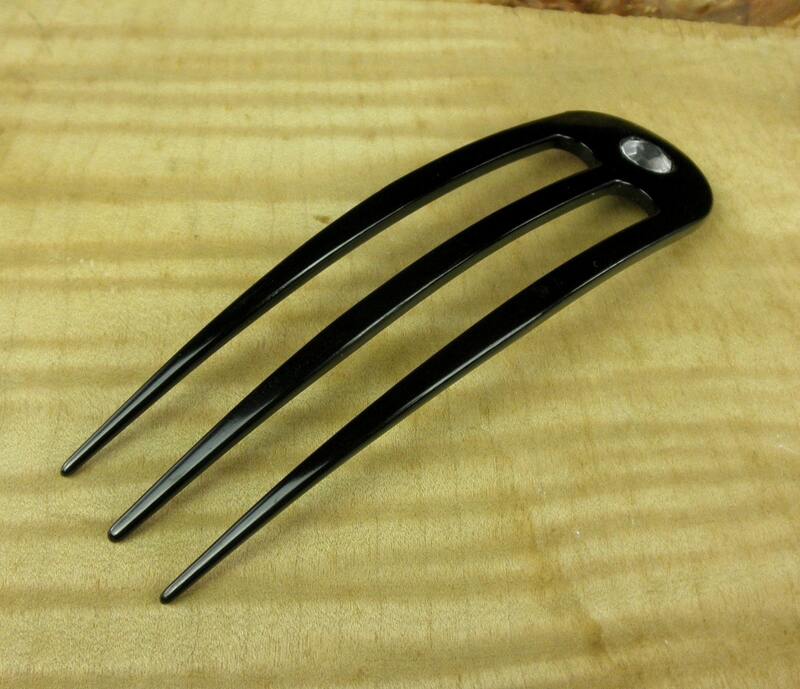 This sale is for One Black Colored Anodized Aluminum 4.9 inch Curved Three Prong Hair Fork. 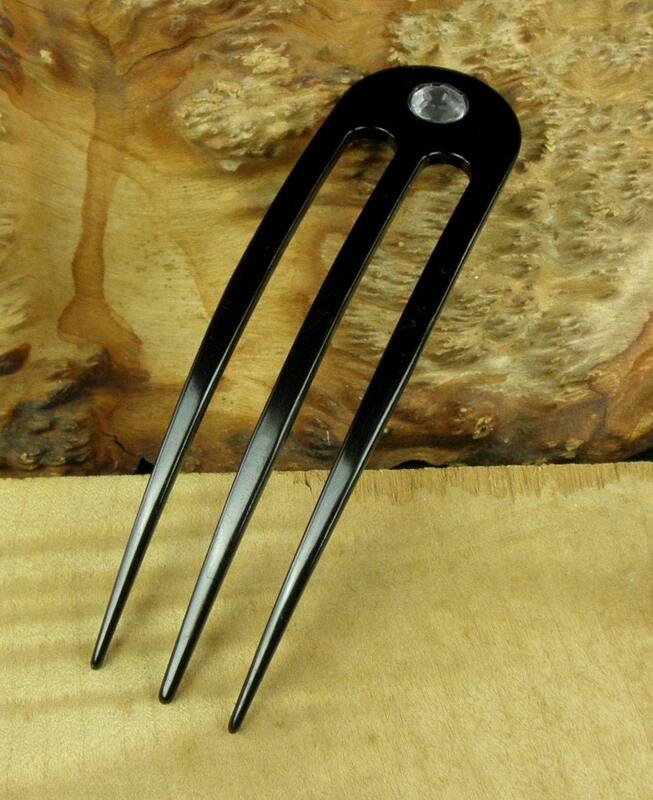 Each has a Rhinestone added to them to add a little sparkle. 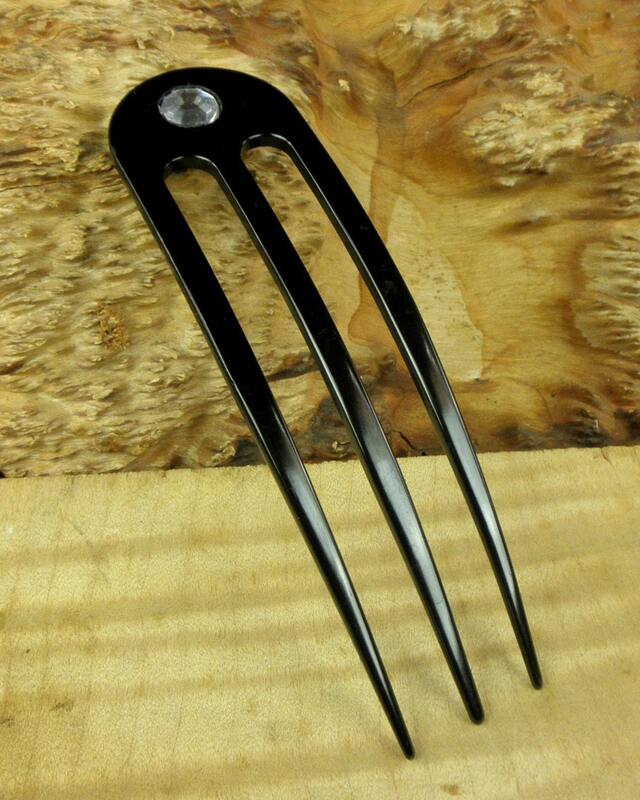 They are 4.9 inches long and a about 1 3/8 inch wide and 1/8 of an inch thick. 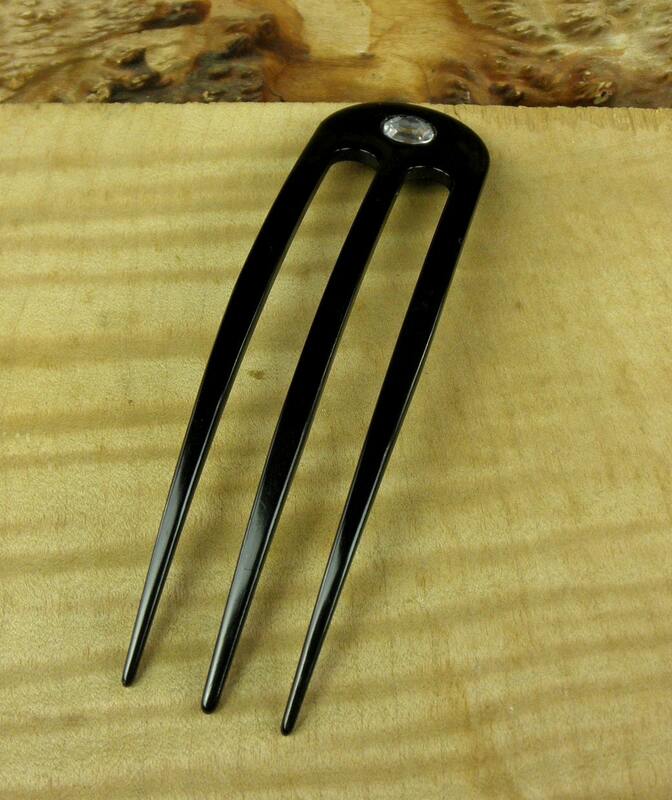 This Hair Fork is curved to fit the contour of your head. 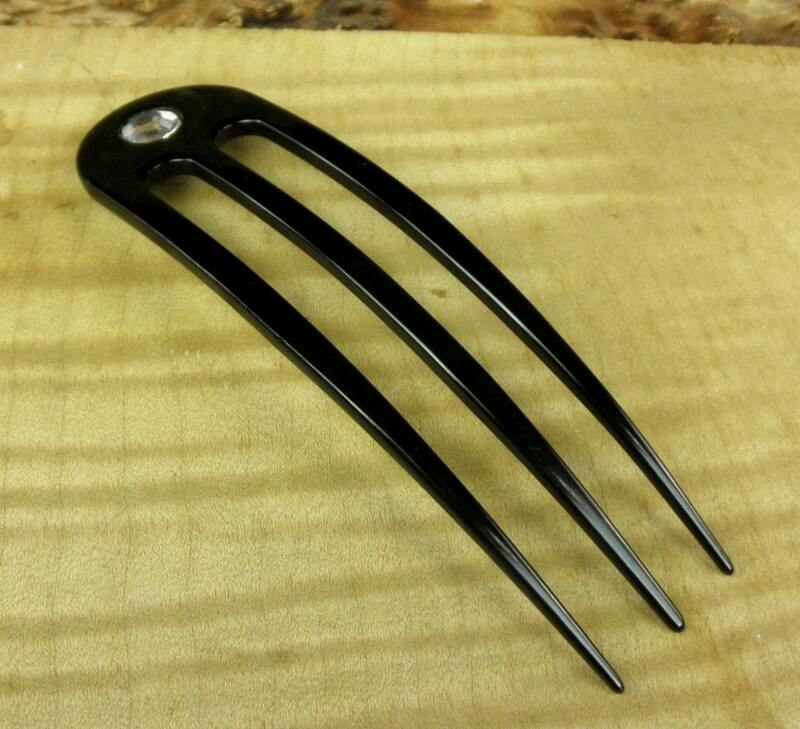 You get ONE Black Colored Anodized Aluminum 4.9 Inch Curved Hair Fork in this sale !